Brown Gold brings you through Bord na Móna’s History – from the initial development of Irelands peatlands for industry, though World War II’s fuel crisis, right up to the modern day. 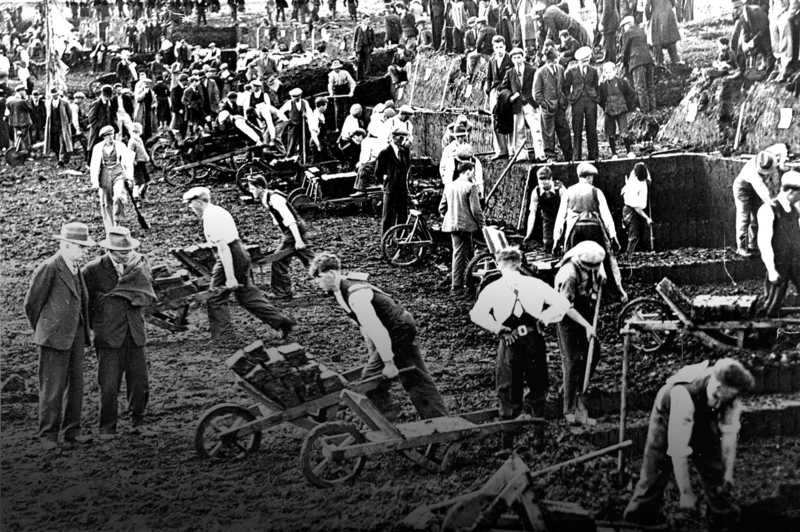 2009 marked the 75th anniversary of the setting up of the Turf Development Board, later to become Bord na Móna. 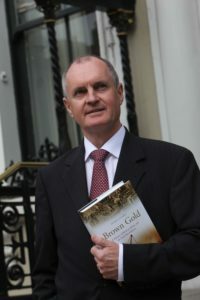 As part of the celebrations, Chairman Fergus McArdle commissioned the book Brown Gold: A History of Bord na Móna and the Irish Peat Industry. 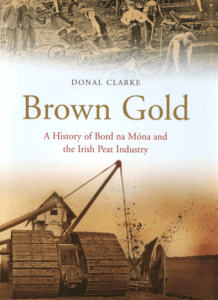 The book tells the story of the Bord na Móna in the context of the development of the peat industry beginning in the 19th century. The company is seen through the eyes of its board and management, but also through those of its shareholding departments, employees, customers and trade unions. in Ireland for a long time took the form of idealised crusades. the crusades into a business. The other two steps were the establishment of the then state-of-the-art Turraun peat works and the Lullymore briquette factory, both of which merged into the Turf Development Board. The Second World War brought severe shortages of fuel and the various schemes to supply the country with peat fuel are a story in themselves; but also taught us the lesson of the need for a secure source of native fuel. This led after the war to the establishment of two turf development programmes in which enormous amounts of money were spent on developing an indigenous energy industry. At the same time the Turf Development Board was re-named Bord na Móna. By the early 1960s the two development programmes were largely in place, but eight successive years of bad summer weather and poor peat harvests nearly brought the organisation to its knees. It took gutsy determination to see that period through. The third development programme of the 1970s and 1980s, in line with government policy, was funded by commercial debt and took place in a period of price controls. These, combined with two successive disastrous peat harvests, brought about another difficult period which was again faced with ingenuity and determination. The 1990s and 2000s saw the replacement of the power stations built during the first, second and third programmes with new-technology stations. During this period the company diversified into new business areas, using its core skills and assets. The company which emerges in 2009 is a far cry from the organisation which began in 1934, but must surely owe something to the character of its previous employees, management and boards to have continued to thrive for so long. Donal Clarke is a native of Dublin who worked in Bord na Móna from 1987 to 2004. He is an arts graduate of the National University of Ireland and has qualifications in accountancy and public administration. Donal joined Bord na Móna in 1987 from Dublin City University as Secretary. He managed Bord na Móna’s business in France in the late 1980s and returned to Dublin as Head of Corporate Affairs. He was also the Chairman of the pension scheme trustees. Since retiring in 2004, he is President of the International Peat Society.